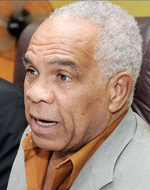 Jamaica (South China Morning Post) – Mainland Chinese state entities involved in two Jamaican road projects worth US$468 million have breached regulations, the Caribbean nation’s Minister of Transport, Works and Housing Omar Davies, alleged earlier this month. One of them is China Harbour Engineering Corporation (CHEC), a subsidiary of China Communications Construction, (CCC), an infrastructure construction firm listed in Hong Kong and Shanghai. The two projects – the US$400 million Jamaica Development Infrastructure Programme and the US$68 million Palisadoes Shoreline Protection and Rehabilitation Works, are being partly financed by the China Export-Import Bank (Exim Bank). Exim Bank is providing US$340 million for the project. A forensic audit on the two projects had revealed “a host of occurrences, which demonstrate complete disregard for normal and well-established government practices”, Davies said. Programme funds were used for unrelated projects. The Chinese parties did not adhere to fund allocations approved by the Jamaican parliament and Ministry of Finance, and subcontractors were arbitrarily selected, Davies told the parliament. In December last year, former transport minister Mike Henry resigned following criticism of the project, the government news agency, JIS, reported. In June, the Jamaican government and CHEC signed a separate US$600 million contract where the Chinese firm would build and operate for 50 years the country’s North South Highway, according to the Jamaica Information Service. The signing was attended by Davies, Jamaican Finance Minister Peter Phillips and China Communications Construction’s senior vice-president Chen Zhong. If this build-operate-transfer project was halted because of the controversy, it could have a significant impact on the firm, Guotai Junan Securities analyst Gary Wong said. CCC’s chief financial officer, Fu Junyuan, said that he did not have information on this matter. Exim Bank could not be reached for comment.